Pearl attended the CMA Cx event in Toronto on May 8th that focused on how to optimize the customer experience. We’d like to share our key takeaways. Below are the 7 Steps to Creating a Great Customer Experience shared by Samantha with examples from the panel discussion. 1. Strategy – Understand the strengths of your brand. What do customers see as unique about your brand? This should be the focus of your customer experience. Example: Cadillac Fairview built a strategy to attract car dealers such as Tesla, Mercedes. Car dealerships are looking to reduce real estate, while Cadillac Fairview is looking to bring in new leases to their properties. Tesla and Mercedes bring in high value customers, and reward them with a great experience (e.g. Tesla charging stations, Mercedes underground parking to make test driving easy). 2. Customer Understanding – Know your customers inside and out. What are their demographics and needs? How do they expect to engage with your brand? It is essential to know what attracts them to your brand, and also what brings them back. Example: Peller Estates Winery offers two wine tasting areas/experiences to cater to different customers – one area for those looking for a more social experience, and the other for wine aficionados. Their staff is trained to segment customers and direct them to the appropriate wine tasting area to ensure they receive the best-suited experience. 3. Design & Engineering – Don’t stop after setting up the initial customer experience. What are the pleasure points and pain points of your customer experience? 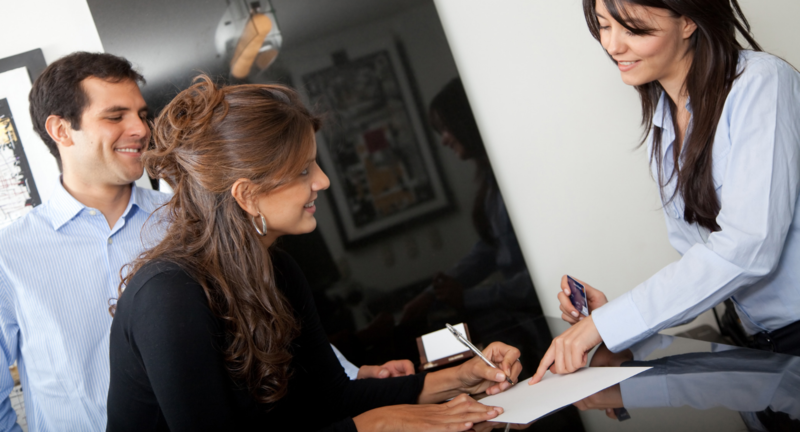 How can you continue to improve the customer experience? A test and learn mindset will identify winning ideas to improve customer experience. Example: Starbucks designs different stores for different customer need states. The Union Station Express store is designed for commuters in a rush, so it features an early access point, a smaller menu and larger mobile pick up area. The Don Mills Reserve store is more about the coffee experience and spending time with friends. The physical design of the store and interaction with the coffee masters delivers an enhanced experience. 4. Delivery – Ensure your entire organization is committed to delivering a great customer experience. Make sure that great customer experience is understood and activated by all parts of the organization. Example: WestJet instills the feeling among all team members that they are accountable for positive customer experiences. In a recent commercial, they shared the story of how a WestJet employee babysat a child’s turtle while the family flew away on vacation. 5. Measurement – In order to effectively evolve your customer experience, you need to constantly measure. Where are you are winning? Amplify it! Where do you fall short? Improve it! Example: Starbucks utilizes an “Excellence Score Card” which measures store level results and customer experiences. 6. Governance – Make sure every function has a role that is accountable for advocating and executing customer experience. Example: Peller Winery Estate encourages their staff to be autonomous and use their instincts to make the right call for customer experience – for example offering a customer something special like sparkling wine on their birthday. 7. Culture – This is a focus on having everyone share the same values. To inspire an entire organization to provide a great customer experience requires a strong culture and a deep desire to connect with customers. Example: Starbucks has all new partners (employees) spend 2 weeks in-store to gain better understanding of their customers. They also have quotas for corporate partners on the amount of time that should be spent in-store interacting with team members and customers. The result is a culture of human interaction, followed by the coffee. 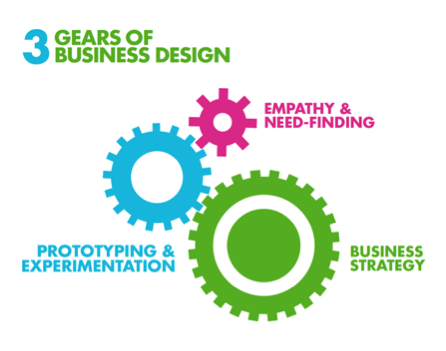 Business Design is a human-centered approach to customer experience. It applies the principles of design to deliver value to the customer experience and create new forms of competitive advantage. At its core, Business Design is the integration of business strategy, consumer empathy, and experience design. Framework Designed by Rotman, University of Toronto. 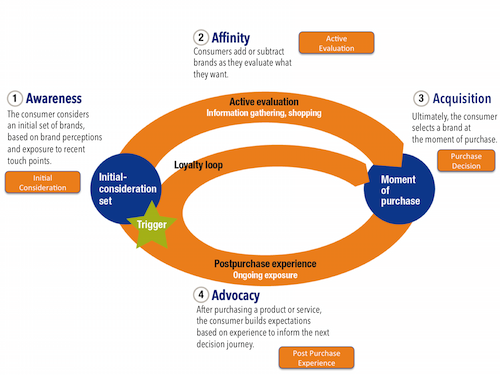 To develop your customer experience strategy, a deep understanding of the customer journey is required to uncover customer pleasure & pain points, key moments of truth, and brand strengths & weaknesses. The learning from customer journey mapping will identify the priorities of your customer experience strategy. To have deep customer empathy, you need to go beyond category level insights. The S.P.I.C.E. 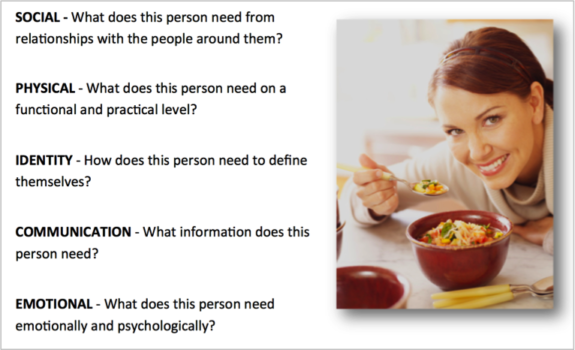 customer profile framework dives into their human level needs. S.P.I.C.E. stands for social, physical, identity, communication and emotional needs. By designing customer experiences that address their human needs, your brand will deliver an experience that is more meaningful and differentiated.